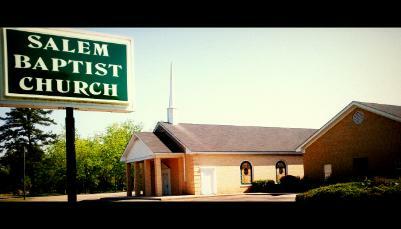 Salem Baptist Church is conveniently located 3 miles outside of Collins. Directions from North: Travel south on Hwy 49. Take a left at the first stoplight in Collins, Ora Swamp Road. Follow the road, crossing over William Warren road, for approximately a mile before arriving at Salem. Directions from South: Travel north on Hwy 49. Exit to the right, after Sonic, towards Main Street. Continue straight thru town, crossing Hwy 84, to Salem Church Road. Follow the road for approximately a mile before arriving at Salem.